An event introducing Hysteria® into the community. 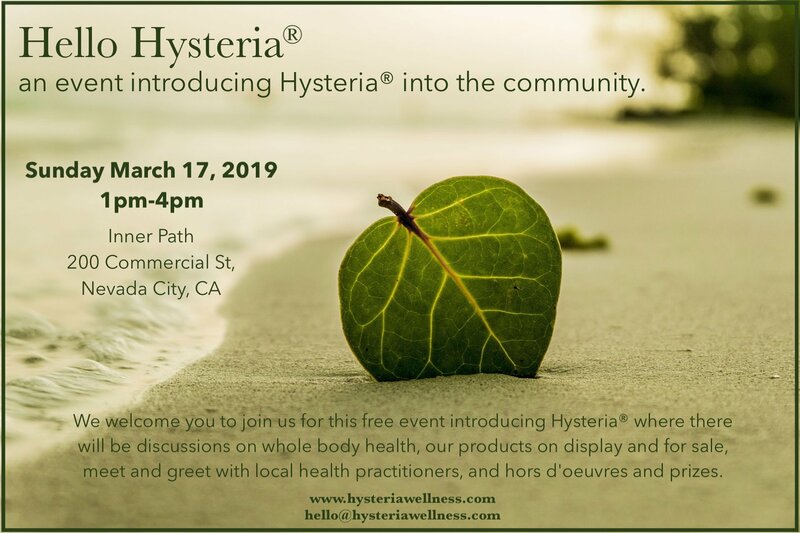 We welcome you to join us for this free event introducing Hysteria® where there will be discussions on whole body health, our products on display and for sale, meet and greet with local health practitioners, and hors d’oeuvres and prizes. “My vision with Hysteria is to share unlimited knowledge to as many people as possible. To empower with that knowledge. To inspire as a catalyst to promote change–for each individual to find their inner, truest versions of themselves to achieve wellness on a whole level that includes sexuality. I began with what I know based on my own experiences that include: life changes; relationships; incontinence and pelvic floor health after giving birth; sexual assault; sexual relationship safety; behavioral intelligence; nutrition; hormone balancing; social influence; and the list continues with other examples that I know I share with others. My start is female health and wellness–but the ultimate mission is whole and complete health and wellness for all of us, together as a functioning system. With that in mind, I chose Hysteria to re-envision the out of date term into a full-scale movement that will bring sexual health to a new level as part of whole health, hopefully with a new cultural perception about who we are as human beings. Whole and Complete Health includes your sexual health and sexuality. Both are a human issue that transcends cultural, society, and gender. My goal is to bring Sexuality and Sexual Health to the table to be freely discussed and included without the negative. To change current negative and taboo perceptions. And, I realize change starts slowly, sometimes one person with one idea. And then it grows, to more people, more ideas, empowerment, more change. I am one person, reaching out to the next, to continue the change forward. Let’s empower each other.” -DiLou DiLou has a diverse background in Chemistry, Mathematics, Literature, Business Management, and Fine Art. 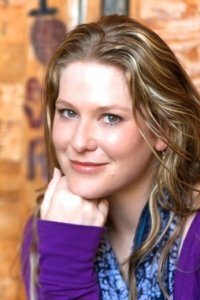 Her passions include her work as a writer, artist, and catalyst for change with Sexual Health Workshops with Hysteria®. Currently, she divides her time between working with her partner as the operations officer with his corporation, building Hysteria into a movement for change, and co-parenting their almost 5 year old daughter to be her own spectacular human. They live in Northern California in the Grass Valley/Nevada City Area.